This is the first in a three-part post to run this week. 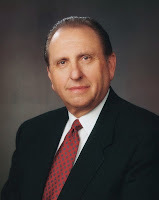 I did a previous post on guessing who the next Apostle might be, but we've hit a rare section in time in the LDS church when two Apostles will be called at the same time. This has happened before. Dieter F. Uchtdorf and David A. Bednar were called together in 2004. Russell M. Nelson and Dallin H. Oaks were called together in 1984 (though Oaks had to wait a month to be set apart). Before that you have to go back to Spencer W. Kimball and Ezra Taft Benson in 1943. When two Apostles are called the same day, the older one has seniority. Never in the history of the LDS Church has an Apostle been called that the prophet wasn't already acquainted with on some level. So these are their experiences and how they may have been known before they will called. One should expect there will be prior relationships for the new Apostles. So first let's look at the likely pool of talent. Statistically it's a virtual guarantee that one of the two will come from this field, if not both. The Presidency of the Seventy works most closely and most often with the First Presidency and Quorum of the Twelve than any other Seventy. Four of the last five Apostles called came from the Presidency of the Seventy. The Prophet will have a good idea of how these men could fit into the Quorum. 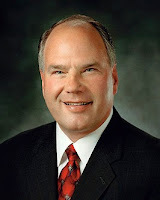 There are 63 members of the 1st Quorum of the Seventy and 21 members in the 2nd Quorum, so I won't profile them all. I'll just focus on ones I think are likely under consideration. But first, it's been a while since someone from the Presiding Bishopric was called as an Apostle, so I'll profile those three on Wednesday. John English is a technical project manager living in Utah. He was born in California and also lived in Texas, Washington, Idaho and Wyoming as a kid. 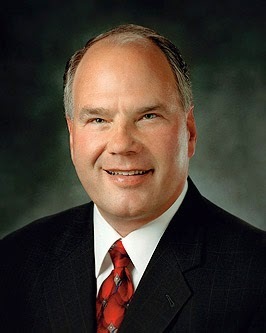 He served his mission in Washington Seattle and graduated from Utah Valley University. In his 18+ years of blissful marriage, he's begat five children, adopted six more, and fostered still more beyond that. He's also a movie buff, political junkie, and Utah Jazz fan. Twitter: @jermsguy. Blog: johnslds.blogspot.com.